At their January 17, 2019, public meeting the Medicare Payment Advisory Commission (MedPAC) voted to revamp the Hospital Value Based Purchasing Program (HVBP). Under the recommendation, a new Hospital Value Incentive Program would merge the Hospital Readmission Reduction Program, the HVBP program and the Hospital Acquired Condition Reduction Program into a single program and eliminate the Inpatient Quality Reporting Program. This recommendation will be included in their March 2019 Report to Congress. Implementation of this recommendation would require congressional action. MedPAC also voted to recommend eliminating “incident to” billing for advanced practice registered nurses (APRN) and physician assistants (PA) in Medicare. This would require APRNs and PAs to bill Medicare directly instead of through a physician. If implemented, this policy would save the program money since Medicare pays 85 percent of the fee schedule amount when APRNs and PAs bill the program directly, while services billed as “incident to” are paid at 100 percent of the fee schedule amount. MedPAC also approved 2020 payment recommendations at this meeting. These recommendations will also be included in their March 2019 Report to Congress. MedPAC voted to recommend that for CY 2020 Congress should increase the CY 2019 Medicare payment rates for physicians and other health professional services by the amount specified in current law. There is no fee schedule update in current law for 2020. 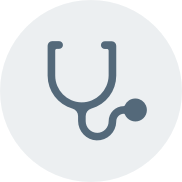 Eligible clinicians may be subject to a positive or negative updates based on their performance in the Merit-based Incentive Payment System or a bonus for their participation in an advanced alternative payment model. MedPAC voted to recommend that Congress provide a two percent market-basket update for the hospital inpatient and outpatient prospective payment systems in 2020.